Please give a warm welcome to Christie Kelley, who is celebrating the release of her latest novel, Enticing the Earl, the 2nd book in her Wise Woman historical romance series published by Kensington today, yay! Christie stops by to talk about passion, something that we all seek to experience both in the books we read and our every day life. So read on and please give it up for Christie Kelley! I always tell my kids to find something they love and decide how to make a career out of it. If you can find your passion for something, it won’t seem quite so much like work. My oldest is still struggling with this but he is only 21, he has time. My youngest is much more goal focused and already knows what he wants to do with his life. He can’t wait to finish high school and college to start his career. That’s what passion does for a person. Like my oldest, it took me time to determine what I love to do, which is writing. I did the logical thing and pursued a degree in Business and a minor in Information Systems. I spent sixteen years creating software programs and managing projects. I didn’t hate what I did, but I just didn’t have a passion for it. It was a job. At night, after a long day on the job, I would read a few chapters of a book before bed and drift off plotting how I thought the rest of the book should go. Usually, I took it the story in a different direction than the author. I had no idea at the time that my brain was teaching me how to plot a story. When I moved to Maryland, I started working part-time from home. Having so much more time, I decided it was time to attempt to write a book. I joined the local RWA chapter and found a wonderful critique group. Almost as soon as I started writing that first story, I found it—Passion! Crafting characters and plots was fun. My mind buzzed with excitement every time I sat at my computer to write. I couldn’t wait for the kids to go to bed so I could write until bedtime. And for any curious minds, no that first book was never published. It was one of four books that will never see the light of day again. That’s all right because each book taught me more about writing and plotting. But even after thirteen years, I still feel excited when I start a new story. How about you, what is your passion? Are you working at your passion or trying still to determine it? 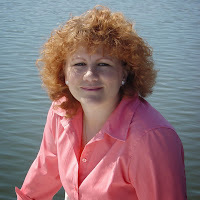 Award winning author, Christie Kelley was born and raised in upstate New York. After seventeen years working for financial institutions in software development, she started writing her first book. She currently writes regency historicals for Kensington. Christie now lives in Maryland with her two sons. Come visit her on the web at her website or on Facebook. 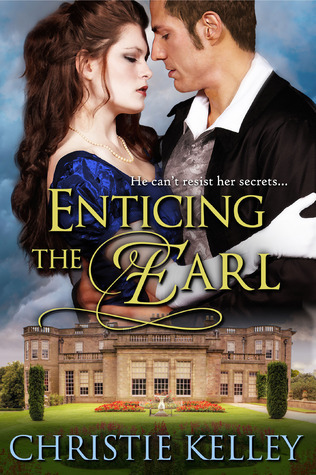 Christie has generously offered an ebook copy of Enticing the Earl to a lucky commenter! To be entered just leave a comment answering Christie's question: How about you, what is your passion? Are you working at your passion or trying still to determine it? Giveaway is open worldwide and ends on 25 October 2013!